As stock prices fell over the past year, rumors flew through the restaurant world: Celebrity chefs couldn't fill their restaurants. Venerable establishments were on the verge of closing. To marquee names who invest big money in culinary capitals like New York and Las Vegas: all due respect. But when you build a place solely with "food tourists" and expense-account execs in mind and the economy simultaneously challenges your two biggest customer bases, your piece of the sky is going to fall. Doesn't mean the sky is falling everywhere else. Despite the publicized gloom over reduced revenues (and even the occasional closing) at some destination restaurants, the experience of American fine dining isn't over. The basic elements remain—quality ingredients, skillfully assembled and thoughtfully served in an atmosphere that lifts you out of your life. Rather it's the business model that's dying as America's evolving culinary identity establishes itself in a range of settings. And while the establishment's desire to hold onto the old way is understandable, it isn't noble adhering to tradition. It's anti-progressive. And it can't last. What we are experiencing right now is the most dangerous and thrilling time for fine dining in America since the early eighties. 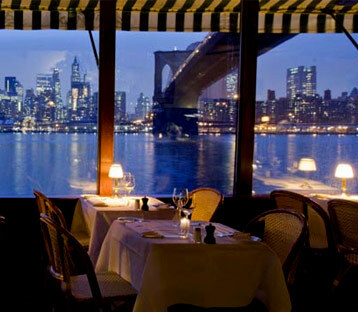 Back then, the juxtaposition of classical French technique with regional American products created an energetic sort of fine dining, as anyone who ever ate a meal at the Buzzy O'Keefe's River Café in Brooklyn (where it's believed chef Larry Forgione coined the term "free range chicken") can attest. Today, there's an equally exciting movement which goes way beyond the cynical trend of chefs commodifying a recession by "discovering" the joys of macaroni and cheese. Due to a boom in neo-traditional farming practices and preservation techniques (curing, salting, smoking), along with better distribution systems, foods once deemed "special" are now widely available everyday, everywhere. The U.S. is now a source of such fantastic ingredients as Blue Foot chicken, Tennessee black truffles, heirloom corn grits and Green zebra tomatoes, so there's no need to depend on European imports to impress diners. It's not uncommon for a menu to read like a road map—painstakingly citing source locations for everything down to rice—espresso made with Blue Bottle Coffee beans roasted in Oakland, chevre from Sweet Grass Dairy in Thomasville, Georgia, and La Quercia prosciutto, cured in Norwalk, Iowa. Sure, it can be annoying when every lettuce leaf is served with a side of geography. But this menu transparency also means that the farmer or rancher responsible for your food is becoming as important as the guy preparing it. That the chef feels a connection to the source. Fine-dining customers are getting younger and, like every generation before them, rebelling against the established order. Green-market savvy and remarkably confident about dining out, they don't need a Michelin star to guide them. They're more interested in rating a restaurant themselves on Yelp. With shorter attention spans and thinner wallets, younger diners have altered the composition of meals and traditional courses by using the suddenly ubiquitous "small plates" as a way to construct their own tasting menus. It's a nod to the emerging roster of great American food producers: Devil's Gulch pork sausages at Magnolia Pub in San Francisco, Painted Hills beef short ribs and roasted hard-neck garlic at Holeman & Finch Public House in Atlanta, Half Moon Bay sand dabs at Chicago's Publican. We also have a new generation of chefs, and while most still attend culinary school, their post-graduation choices are changing. When going out on their own, which happens earlier and earlier, it's not unusual to forgo bigger venues and open up shop wherever they can. They refuse to hit the safest menu notes (think tuna tartare, steak frites and creme brulee) in order to attract major market investors, instead showcasing their talent in smaller, quirkier spaces in smaller, quirkier towns for the privilege of writing a menu that expresses who they are. Mike Lata, a James Beard Best Chef in the South, turns out his trademark Keegan-Filion Farms (just down the road from the restaurant) chicken liver pate with pickled cherries at Charleston's FIG, located in a former Western Union building, while in Philadelphia, chef David Katz offers milk fed St-Canut's pork chops on his rustic New American menu at Meme, a converted corner storefront. This is personal statement cooking, and those who practice it are clearly visible in their own kitchens. Different culinary interests bring about different aesthetic interests, and while there will always be a place for towering floral arrangements and polished silver, such traditional trappings are no longer a requirement for fine dining. We're simply evolving out of that phase, and in the process, redefining what luxury looks like. In 1997, a designer named Sandy Chilewich invented a placemat that has, over the last decade, altered the course of fine dining in America. The American-made Chilewich woven vinyl placemats, known for clean architectural lines and a contemporary neutral palette, were quickly adopted at such modern fine dining venues as Tom Colicchio's Craft along with wd-50, the pioneering food lab on the Manhattan's lower east side. With the top of the table no longer obscured by linen tablecloths, the table itself became an important design element, dovetailing with the rise of repurposed materials and ultimately contributing to the "rustic-luxe" restaurant style that's more simpatico with market-conscious menus. Nearly 12 years after Sandy Chilewich introduced those fateful placemats, legendary chef Joel Robuchon opened the I.M. Pei-designed New York branch of his signature L'Atelier restaurant where an eight-course tasting menu will run you $290. His naked tables are dressed with Chilewich mats—and he's French. Francine Maroukian specializes in kitchen culture stories and the culinary history of the country's site specific foods. She's a contributing editor for Travel + Leisure, Garden & Gun, and Esquire and winner of a 2009 ASME National Magazine Award.